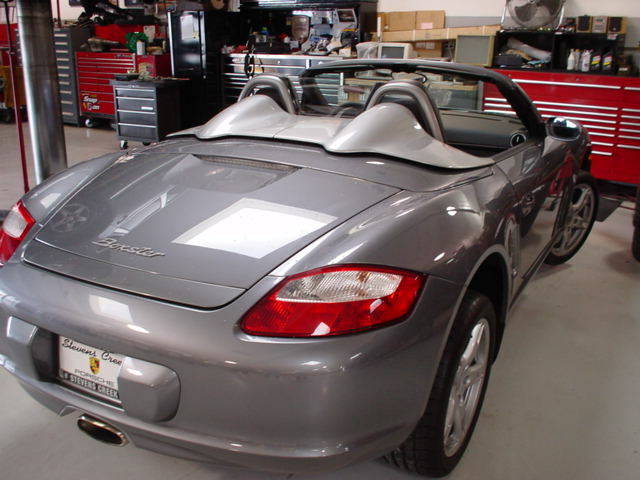 I have a 2000 986 Boxster S, for which I have a hardtop and speedster humps, My new 987 arrives in a few weeks, and I believe that the fixing points are different. I am sure this subject has been aired previously but I cannot find any references to it. Can someone provide an answer? When the 987 came out I asked this on rennlist from a German guy who works in the 987/997 styling department. He said the side glass windows on a 987 are different. To use a 986 top on a 987 you would have to put in the glass from a 986. Then since you changed the glass you also need to remove the 987 soft top and put in a 986 top. Also, the hardtop for a 987 has 987 part number. I also saw a picture of a 986 hardtop on a 987. The profile of the windows between 986/987 are different. I have the humps for my 986. When the 987 came out there was a tech session at the local dealership. I put my silver humps on the 987 and they did not fit. In the picture it sort of looks like 986 humps fit the 987, but in person they did not. Then the 987 came out I asked this on rennlist from a German guy who works in the 987/997 styling department. He said the side glass windows on a 987 are different. To use a 986 top on a 987 you would have to put in the glass from a 986. Then since you changed the glass you also need to remove the 987 soft top and put in a 986 top. Also, the hardtop for a 987 has 987 part number.